Could a Hospital Mattress be an Infection Risk? Protecting patients and hospitals. Multiple studies have shown that hospital mattresses harbor dangerous pathogens like MRSA and C. difficile. Outbreaks have been traced back to damaged and contaminated mattresses. We’ve all been there, sitting in an emergency exam room or hospital room with a loved one. With all the things that go through your mind at that time, the possibility of your loved one being exposed to an infection because of the mattress or hospital bed they were using probably wasn’t one of them – but it’s a very real risk. Covers May Be Infected by Body Fluids and Microbiological Contaminants – in fact, they are listed as one of the Top 10 Health Technology Hazards for 2018, according to ECRI Institute. 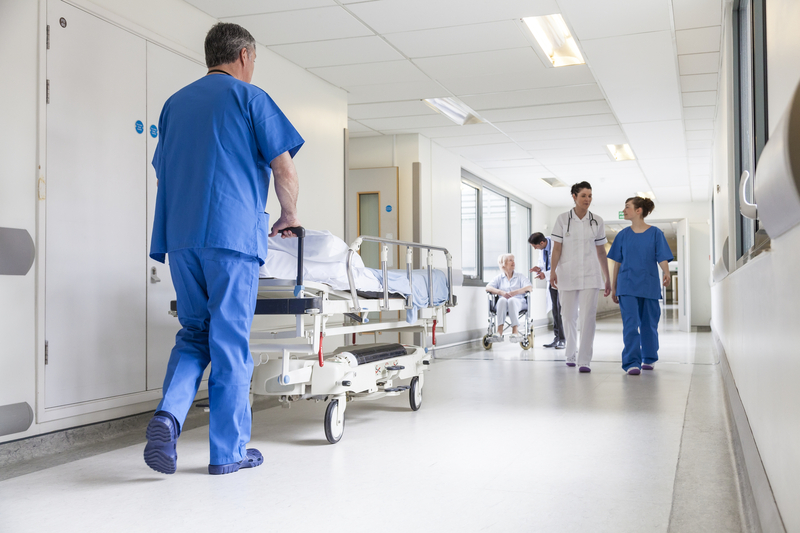 Twenty to 47 percent of bed and stretcher mattresses in healthcare facilities have visible damage, especially in the OR, ER, and medical inpatient units. Similar findings are true in ambulatory surgical centers, long-term care facilities, and EMS. Damages can range from small punctures or tears to larger areas of damage with limited protection of the inner core. Tape is commonly used to repair mattress covers. Small rips and tears can become a much larger problem leading to patient risk and elevated costs. Mattress interventions, such as improved cleaning and/or returning mattress to an intact state, have been shown to decrease or eliminate outbreaks. 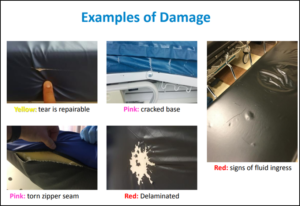 At NEXClean, we’ve developed a unique solution that enables healthcare facilities to use a comprehensive and disciplined approach to inspect, identify, and repair damaged patient mattresses. Damaged mattresses are immediately repaired when needed following strict guidelines to ensure the integrity of the mattresses. If a mattress is beyond repair, it’s tagged for replacement. This eliminates wasted inventory while ensuring that the healthcare facility is ready for their accreditation survey. This procedure is also useful in identifying trends that may be damaging mattresses.